Buy affordable penn defiance level wind reel. The Penn Defiance Reel is a conventional saltwater level wind reel designed for saltwater fishing applications. The Defiance Level Wind Reels, from Penn, offer anglers an excellent value for a saltwater reel that's packed with features. Penn's Defiance Reel possesses enough punch to give most saltwater species a quick trip to the boat. The Defiance displays a light weight, a characteristic derived from the use of a lightweight graphite frame and sideplates. Also attributing to the reel's light weight, is the forged, machined and anodized aluminum spool. 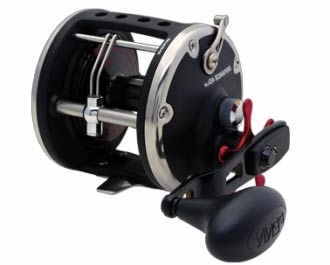 Stainless steel frame rings enhance the reel's rigidity to prevent any type of frame flex that could occur. Durability and corrosion resistance are greatly supplemented by the use of a machine-cut marine grade bronze main gear with a hardened stainless steel pinion and shielded stainless steel bearings. The reel's flawless drag is a result of Penn's HT-100 carbon fiber drag washers. We offer the Penn Defiance Level Wind Reel in two models: 20LW and 25LW. For more detailed information on each model, please consult the technical specs tab.